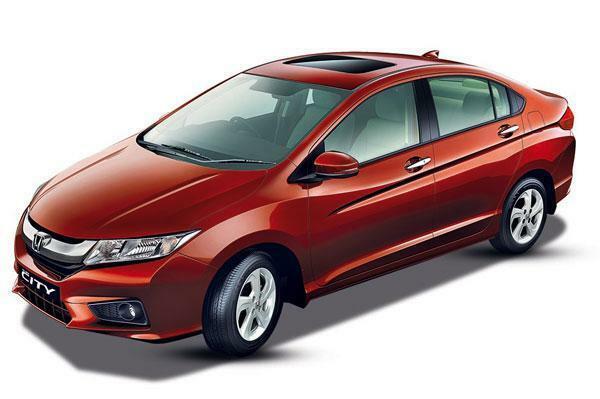 Honda Cars India Ltd. (HCIL), popular car manufacturer in India has revealed the sales report for the month of May. Honda has registered a monthly domestic sales of 13,431 units in May 2015 as against to 13,362 units in the same month last year, there by showing a growth of 1% . Honda Cars has sold 26,067 units between April and May 2015 as against to 24,402 units during the same period in 2014 which marks a growth of 7%. HCIL(Honda Cars India Limited) has also exported a total of 655 units in May 2015. As always, Honda City has ruled the above stats with highest number of units getting sold. CR-V being the least sold car. Honda Amaze has done a decent job of 3,699. 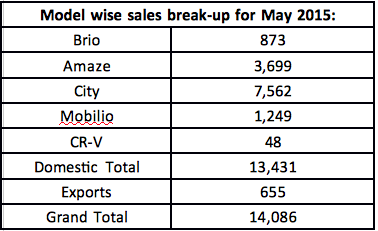 The stats indicate Mobilio and Brio are performing less with 1,249 and 873 unit sales. In addition to this, Honda Cars has succeeded to export a total of 655 units in the month of May. For more updates on Indian car and bike news subscribe to our newsletter or follow us on facebook and twitter. Is it necessary for bikers to buy Riding gloves?